The GMC Denali Road Bike is a versatile and popular road bike for riders looking to ride for fun, for exercise, as part of a group, or as part of individualized training. This model offers different sizes and colors on top of quality materials, to appeal to men and women of all statures. In the middle of the spectrum, this road bike is perfect for the in-between riders who are not looking for a professional bike, but want something more durable and of better quality than a normal street bike. For serious riders, GMC does a pretty good job of including high-performance materials in a road bike that is relatively inexpensive and reliable. And as a Unisex bike, it is only a matter of choosing the perfect color option and size, which is simple due to the four size options and three color schemes. For the purposes of this review, the 700c Medium will be used for functions, materials, and features that all sizes share, as it is the most popular size for men and women. The design of this GMC road bike is lightweight but contains the rigidity needed for challenging road racing and surfaces. All four sizes come in the following three color schemes: Black/Green, painted black with green accents; Red, an attractive solid red; and Black/Pink, which offers a solid black paint job with minimal pink accents. All of these colors are attractive and neutral, giving this model bike a serious look for serious bikers. These options appeals to both men and women of all ages. The longevity of this road bike is a common praise from riders—from those riding across states and even the country, this GMC model has been hailed as a reliable bike for use on unpredictable roads. Unlike professional racing cycles, this bike is not the slim, aerodynamic frame that one sees on the television during the Tour de France. This road bike is intended to be a versatile and robust bike for use on real roads. Some pros include that versatility in use, including use for beginners road racing, group biking, exercise and training, as well as long-distance biking. The design of the GMC Denali is also a selling point. The color options available are an excellent in-between for both men and women. None of the color schemes are ‘too masculine’ or ‘too feminine,’ but are attractive and suited towards a range of bikers of all sizes. The four different sizes is another great aspect of this model. Whether you are over six feet tall or just around five feet in height, the size options will ensure that you choose the bike that is just right for you. The price is one of the reasons this model is so popular among beginners. For under only a couple hundred dollars, this bike is as solid as it can get. It even includes gears and tech that some more expensive models have, which is great for learning on before moving up to a more expensive bike. Just about all reviews recovered on Amazon state that the price is excellent and absolutely worth the money. From five star reviews to three star reviews, even if the bike was perfect or had a few issues, the price was consistently commented on as being worth it for the purchase. One of the negative points of this GMC model is some consumers have complained of the bike not being as solid as they wish it to be once it has been put together. 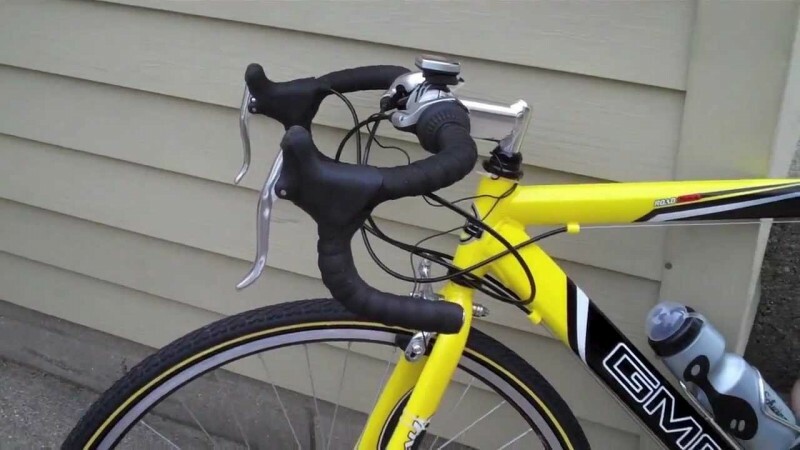 This could be due to the customers’ own mistakes assembling the bike, so it is suggested that if you purchase this bike, to take it to a bike shop for assembly, or to someone who has experience. Another negative are the tire and brake issues. While the alloy Vitesse racing rims are high-profile, they are not necessarily high-quality. The tires for this model are not standard road bike size and the quality of the tires themselves is not as good as it could be. 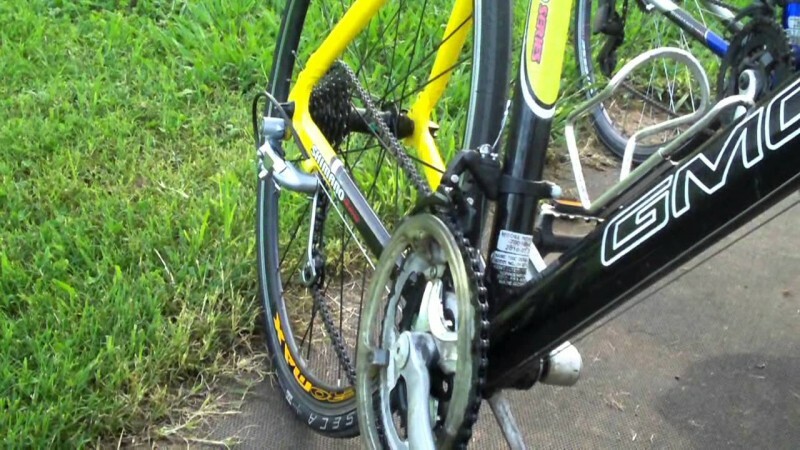 The ‘tire tape’ inside of the tires are not of the best quality, so be aware of this as you begin taking your bike out. You can purchase new tape for around $60 and fix any flats if they occur, and reinforce the tires for the thousands of miles of life it has in it. It will depend on how you ride the bike and the surfaces you bike in. The brakes have some issues as well, being difficult to adjust during assembly and some users reporting that this model is slow to stop with the brakes it comes with. It is worthy to note that this model road bike from GMC does not come fully assembled for the rider. Being partially assembled, you will need to mount the front wheel and the handlebars. Among the tools needed are an Allen wrench, flat head screwdriver, and a Philips screwdriver. The highlight of this 21 Speed GMC Denali bike is its longevity. This road bike can be used for thousands of miles without issue. For every day riding, commuting, and other road uses, this model is highlighted for its longevity and reliability on the road—no matter how long the trip is. For beginners, this road bike will teach you how to ride depending on your intended use in sports, racing, etc…and once you get a feel for the higher-end shifting gears and 21 Speed setup, one can stick with this bike, or if getting serious about cycling, one can move on to a more expensive model for more professional uses. As with any beginner gear, this bike is made to last and remain reliable—the fancy aspects are found in the road bikes worth up to thousands of dollars. If you do not have that kind of money and are just starting out or simply want a reliable commuting/casual road bike, then this GMC Denali road model is the perfect fit for use for years to come. To get the best out of this road bike, make sure you get it assembled and tuned by a professional or experienced biker—this will make the difference in how this model will function and remain solid. The intended use for this model bike from GMC is for road use. This includes leisure riding, commuting to work, for exercise, road racing, training, and other uses. The road bike’s functionality is somewhere around medium effectiveness. While the styling is high-end, it is an entry level bike with lower quality tires and brakes. It is an excellent bike for normal use, but one would not bring this to a professional biking event. This means that as a teaching tool, this would be a great pick for someone looking to become a serious biker for under $300. Professional bikes can cost thousands, so this model by GMC is a bargain and the functionality is equal to its price. The frame is made of aluminum, and averages around 29 pounds. While not feather weight, this is good for those who do not want an aerodynamic racing bike, but rather a sturdier bike that is comfortable, reliable, and can bike on road surfaces long-range. For anyone seeking a good bike, this would more than meet their expectations, and for the price, the functionality is as expected. It is a safe bike and is reliable for non-extreme racing and riding. Some cyclists have biked this model thousands of miles, including on a cross-country ride across the U.S. This tells a lot about its reliability and functionality in the long run, as long as it is put together correctly, maintained correctly, and treated well. The GMC Denali is available for purchase on Amazon.com, as well as additional online and in-store retailers. 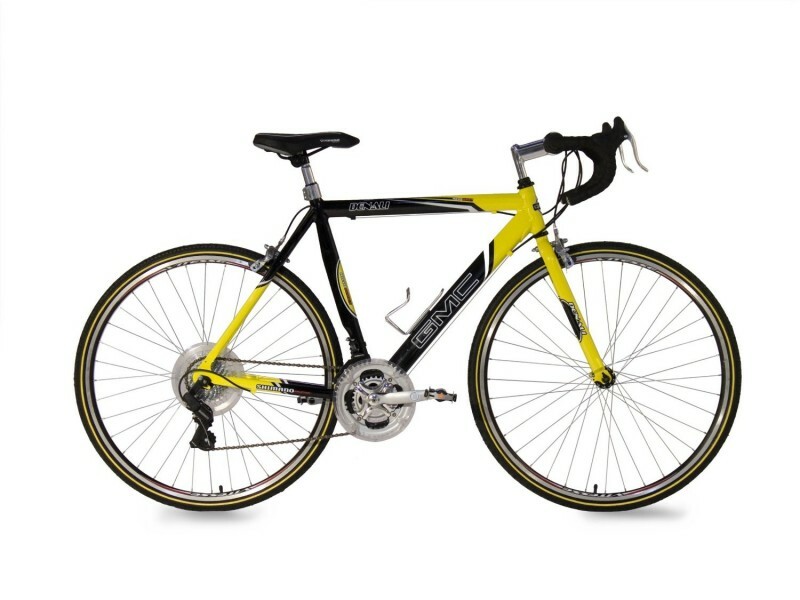 Link for GMC Denali Road Bike via Amazon.com. The overall impression of this bike is simply reliability and longevity. For long-distance biking, to commuting, to beginners looking to get into road cycling, this is the best priced road bike out there to practice on, break in, and use for thousands of miles. Being so reliable and inexpensive, the affordable price does not compromise the quality. While some parts are not high end, for a couple hundred dollars, they cannot expect to be. In comparison to professional racing cycles which can run thousands of dollars, of course this GMC model would not match up in terms of tire or brake quality. However, for the casual bike, long-distance, and good road bike, this GMC Denali is a great purchase. Overall, this is a great entry level bike for those who are looking to take to the road and become a serious cyclist but does not have the money for a higher-end or fancy road bike. The setup is high bread and this model has shifters akin to mountain bikes—this will aid in a rider’s learning experience, as they bike for pleasure, exercise, commuting, or sport on an entry level. This rating reflects the mix of excellent pricing, quality of the gears and tires, the overall functionality due to the materials, and the overall design of the bike. While some categories flourished such as the design and price, the quality of some of the parts brought down the quality points and therefore the functionality. However, for most riders, the functionality will not be as affected depending on their use of this road bike. For those seeking a tough rating, this is as honest as it can get for those with high expectations for a bike in this price range. Overall, the GMC Denali Road Bike is a workhorse that you can rely on; a training tool that you can practice on; and an inexpensive bike of good quality that will not hit your bank account too hard.